It’s distributed by the Ashman Company of Virginia Beach, whose website is linked above. It’s a great gift for any fan of music, hot sauce, or Old Dominion! One of the those companies is Sweet N Sassy BBQ Company. They’re located in Fredericksburg and produce a line of BBQ Sauces and rubs, all of which are available locally and also at their website. The sauce we enjoyed most was their Sweet Peach, made with a combination of carmelized peaches and onions. It’s sweet and tangy and pairs amazingly well with any type of chicken dish … try it brushed on grilled salmon too! The good “Q” keeps on comin’ from Old Dominion! Click through to see all this innovative Virginia business is coming up with, and visit them if you’re in Virginia Beach or D.C.! 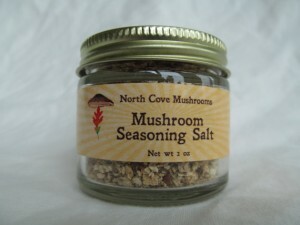 As the name states, the company’s business is mushrooms and related products. Their business philosophy is based on environmental sustainability and the health benefits of mushrooms. Their crop is grown and tended to via natural methods and no harmful chemicals are used. In addition to their on site activities, the business offers an Etsy shop where a unique array of products are available for shipping. Click the “Shop – Etsy” menu item on their website to see all that’s offered – personally, we’re intrigued by the mushroom seasoning salt (pictured). Good eating from Old Dominion! We discovered the company by buying a bottle of their barbecue sauce, which we enjoyed very much. It’s a tangy southern style sauce that’s equally adept as a marinade as it is on your pulled pork sandwich. Sauer’s Barbecue Sauce has a peppery kick, which along with the tomato and vinegar base, make it ideal on a barbecue pork sandwich with some nice creamy coleslaw atop … Southern style! Click through and learn about C.F. Sauer’s – don’t be a stranger to them like we were! Pork Barrel Barbecue: Alexandria is one of our favorite Virginia cities – it’s almost always where we stay when visiting our nation’s capital. And although Alexandria is just a stone’s throw from the District of Columbia, it has a feel and personality all its own, from the city’s unique history to their waterfront and great restaurants. One of our favorite places to eat in Alexandria is Pork Barrel BBQ on Mt. Vernon Avenue. Here you’ll find all you need to satisfy a barbecue craving, from pulled pork to smoked turkey to sliced brisket and more. We particularly like their pulled pork nachos, pulled chicken sandwiches, and their wings – fantastic! Part of what makes Pork Barrel’s food so great is their own sauces and rubs. 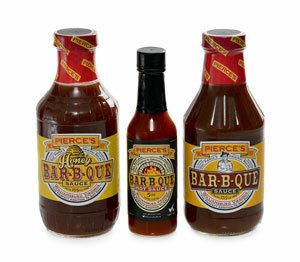 They make all the varieties you like – Original Sweet, Carolina Vinegar, and Mustard BBQ Sauce. They’re available at their online store in combination packs and case lots. The Picnic Pack makes a wonderful gift! While you’re there, for something really unusual, take a look at their Que’Adore Cologne. It’s the first ever barbecue scented cologne (really!) – truly the gift for the man who has (almost) everything! The Virginia Crabbers are peanuts dusted in a Chesapeake Bay style seasoning and wow are they good as a happy hour snack – we’d water a garden all day long for more of these! 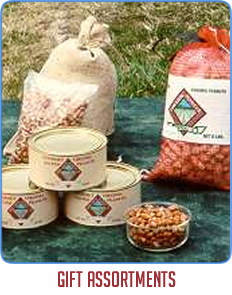 Royal Oak Peanuts is a family owned and operated business that has farmed peanuts since the late 1800’s. They’re cooked in 100% peanut oil – no additives or preservatives – and they’re not cooked until you place your order. Fresh as fresh can be! 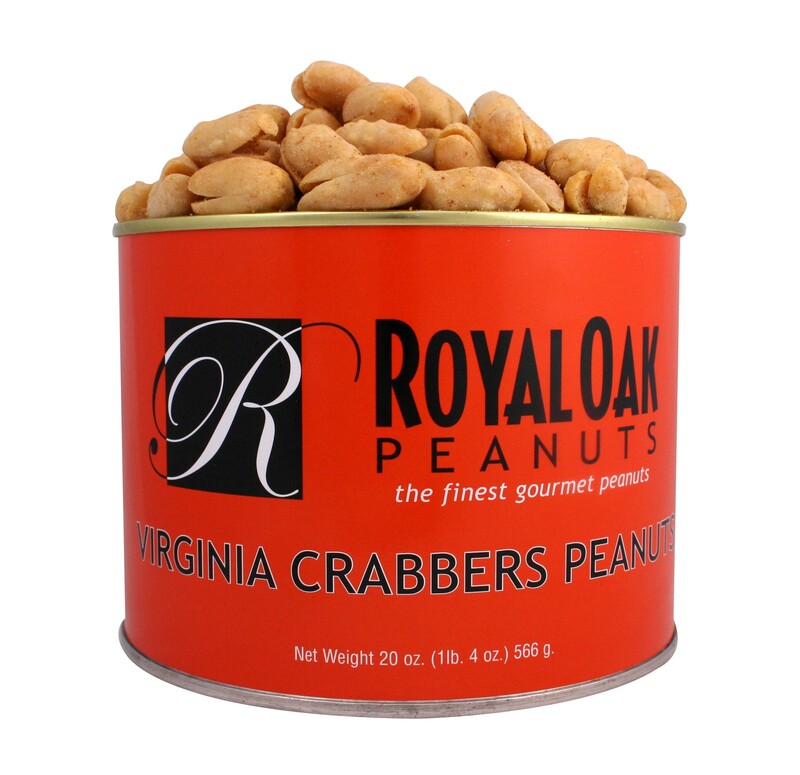 In addition to the Crabbers, Royal Oak offers all sorts of peanut varieties and gifts at their online store, linked above. Try some of their peanut brittle or peanut squares too! 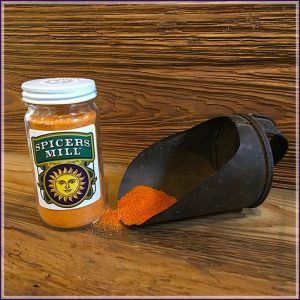 Gypsy Hill Foods: This Vienna, VA small business creates some very handy and tasty spice and dip mixes just perfect for entertaining or every day use. 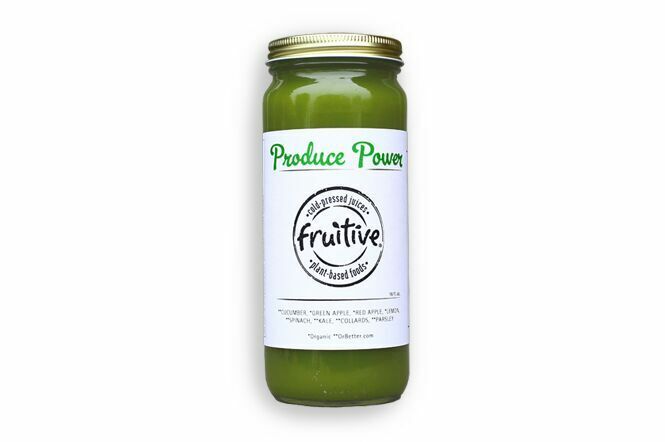 Everything is hand blended without the use of preservatives, MSG, or salt. Just great taste and good for you! Gypsy Hill produces a really diverse line of products … there’s something for everyone here. From rubs to salsa to seasoning blends and single serve soups, you’re guaranteed to find the perfect accompaniment for your culinary creations. Check out their full line of fruit dips – varieties like Black Raspberry, Watermelon Delight, Tangerine Splash, and Chocolate Covered Cherries are ideal to spread on a breakfast bagel or to pair with fresh fruit for an afternoon snack or dessert. Virginia Rock Shop: The state of Virginia hasn’t designated an official state gemstone, but that’ doesn’t mean rock hounds won’t find semi precious stones in Old Dominion. One shop we’re pleased to feature where you’ll find a lot of them in one place is the Virginia Rock Shop. Their showroom is located at the Rockfish Valley Community Center on Route 635 West between Afton and Nellysford. 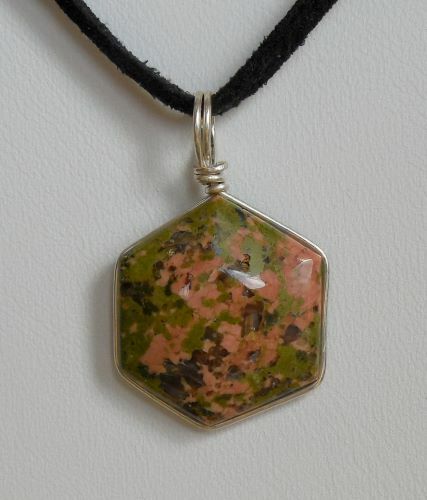 The VA Rock Shop also offers cut & polished stones, mineral specimens, shells, and just about any variety of jewelry you can imagine. Click through to their site to see the selection … prices are suprisingly affordable! If you’re looking for a local gift from the southern part of the state, you’ll be hard pressed to do any better than a selection from the Good Earth Peaqnut Company. Click through to place your order – they’ll deliver right to your door step! Founded in 2012, the company has already generated thumbs up recommendations from various media outlets like Virginia Living and Edible Blue Ridge magazines, as well as The Today Show. Described as “addictively delicious”, flavors include Maple & Walnut, Cashews & Coconut, and Pecans & Chocolate. If you’re a pistachio fan, try Hudson Henry’s Pistachio, Almond, & Coconut blend and there’s also a Maple, Pecans, & Coconut variety available. You can find these granolas in a growing number of Virginia, Maryland, and D.C. stores (there’s a list on their website), or place your order online. Trio combination packs are available, as well as their “Something For Everyone” package which includes a bag of all five flavors! 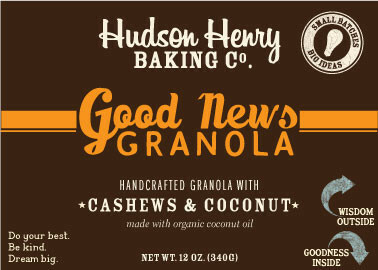 Click through to their site to learn more and get your granola on! Some of the unique flavors of jam they make include Raspberry Zinfandel, Blueberry Lime, and an interesting combination called Triple Berry Jam. It’s made with blackberries, raspberries, and blueberries for a real burst of fruit flavor! 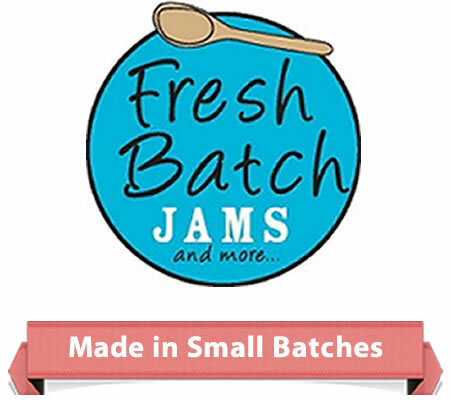 Fresh Batch Jams also offers gift sets and other specialty products like Honey Apple Butter, Pomegranate Jelly, and Hot Pepper Jelly. Click through to their website to see the entire product line and order for your family! Fresh fruit taste from Old Dominion! In Flint Hill, VA chutney is made more in the Old Dominion style … peach, apple, and other plentiful fruits and often served with ham or roast pork. 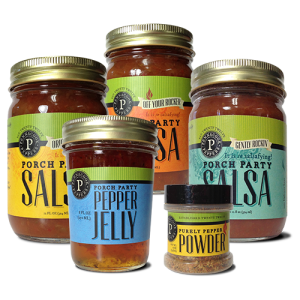 These are just some of the styles made by the very creative family owned Virginia Chutney Company. A combination best described as both sweet and savory, the company’s products are designed to versatile, more than appropriate as a breakfast spread or part of a beautiful appetizer tray. Spicy Plum, Mango, Sweet Peach, and Balsamic Fig are just a handful of all the flavors available directly at their website. And if you’re looking for a sweet & savory gift, combination 3 Packs are available as well. These chutneys are sure to be appreciated and enjoyed by anyone on your list – direct from Virginia! Capsaicin Solutions: The word “capsaicin” refers to the active component in chili peppers providing the heat or hotness if you prefer. It’s also sometimes used in a medical / wellness context because capsaicin is known to help remedy certain health conditions, particularly muscle, nerve, and joint pain. Each of their Pepper Powders and spice mixes are rated on a heat scale of 1 to 5. As you might expect, 1 is mild and 5 is hot; they have a few “extra hot” mixes that drift into category 7 and 8, with the warning they’re not for the faint of heart! 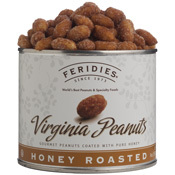 Feridies: If you’ve ever been near Courtland, VA you probably already know about a really cool gift shop called The Peanut Patch which offers delectable Virginia peanuts for sale. The Peanut Patch has been around for decades and is a familiar stop for those traveling north and south near Virginia’s eastern seaboard. 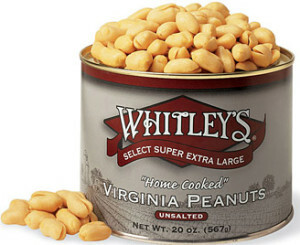 Virginia peanuts are one of a kind. We’ve been fortunate enough to enjoy them on many occasions, and we’re always struck by how plump and crunchy they are. We love them straight out of the bag or mixed in some of Feridies candy creations. 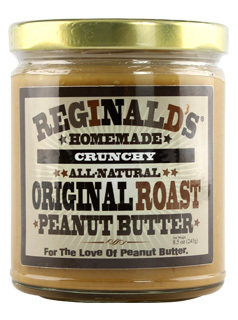 The company is known for their honey roasted peanuts, peanut brittle, snacks & trail mixes, and more. The bark is gathered from the forest and then cleaned and lightly toasted, Then, the syrup is extracted from the bark, filtered, and aged. A cane sugar called turbinado is introduced to create an exquisite flavor unlike any syrup you’ve tried! 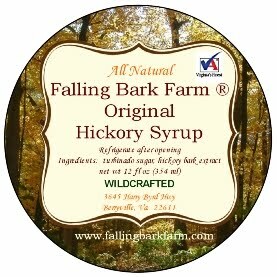 You can order any of these syrups directly from the Falling Bark Farm website. A distinctly Virginia gift! The net result is a syrup you can use to make drinks requiring mint if you don’t have fresh mint on hand or don’t want to be bothered with the process of muddling mint. These syrups are highly concentrated (it actually contains more cane sugar than water), so just a tiny bit suffices. 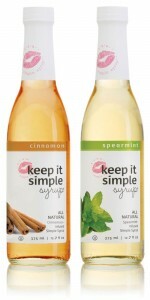 Susan has now added a new product to her line – Cinnamon Keep It Simple Syrup. If you’re a fan of cinnamon flavored cocktails, it’s an ideal alternative made with healthy ingredients! Check the recipes tab on the Keep It Simple Syrup website to get more in depth suggestions on how to use it. You can also order directly online – they’ll ship right to your door. A nice gift for your favorite mixologist, direct from Old Dominion! Using all natural ingredients and multi faceted flavor profiles, Gunther’s Gourmet marinades and vinaigrettes can be utilized equally well as salad dressings or traditional marinades. Their Orange Balsamic variety is ideal for adding depth of flavor to any cut of pork, poultry, or fish, while the Lemon Oregano Marinade can be enhanced with capers to create a convenient, flavorful Picatta sauce. If you’re a fan of hot & sweet fruit salsas as we are, check out the Gunther’s Gourmet salsa page. At present, eleven gourmet salsas are available, and they’re noted with a heat scale if you’re unsure of how much heat each offers. Choose from creative flavors like Spicy Ginger Pineapple or Fiery Peri-Peri Dark Cherry. 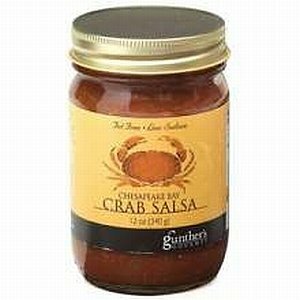 For an Old Dominion specialty gift, there’s Gunther’s most popular item, the Chesapeake Bay Crab Salsa, pictured. It’s made with a blend of herbs, spices, and Blue Crab claw meat! For a gift that keeps on giving, check out Whitley’s peanut clubs. Roasted and salted, unsalted, or assortments can be shipped to your chosen recipient monthly throughout the year. 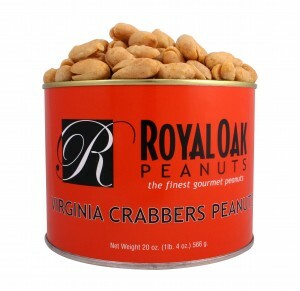 What better way to tell someone they are appreciated than a tasty gift of Virginia peanuts? We would love to be appreciated in this way! In Williamsburg, one of our long standing favorites is Pierce’s Pitt Bar-B-Que, which has been turning out mouthwatering smoked bbq specialties for decades. Pulled chicken, pulled pork, and pork shanks are the specialties, but they also turn out a pretty mean burger too! It’s as casual as can be, off the tourist track, and it’s where you’ll find the locals. We never leave without ordering both their pulled chicken and pulled pork sandwiches. They’re not fancy but wow are they good! And so is the barbecue sauce – it comes in two varieties, Original and Honey. 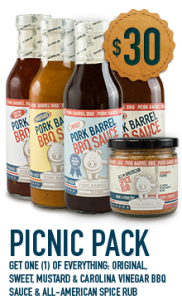 You can have their bbq meats delivered in four pound increments by calling the restaurant, but you can buy both of Pierce’s BBQ Sauces at their online store. For a fine Old Dominion gift, pick up the Triple Play Gift Set, shown. 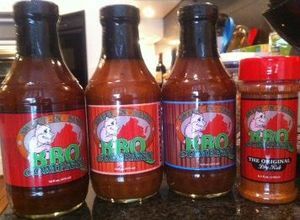 It contains one each of the two sauce varieties as well as a bottle of Pierce’s Hot Sauce. When in Williamsburg, stop by! It’s a local institution … you’ll love it! 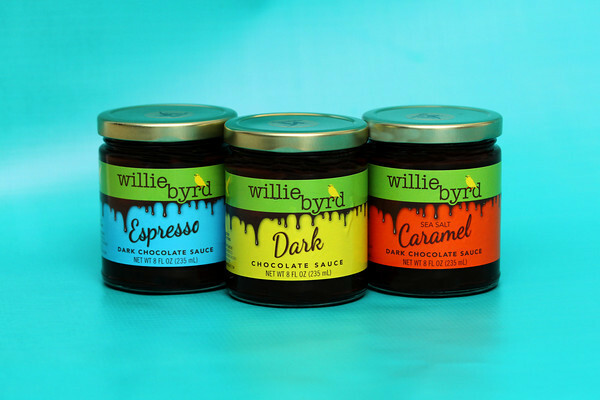 Willie Byrd Dark Chocolate Sauces: You’ve probably heard that dark chocolate is good for your health. A bit of dark chocolate every day is known to improve cognitive abilities and promote healthy blood flow … and the added advantage is the delicious rich flavor. Very seldom does something so good for you taste so good! For a unique dark chocolate experience, acquaint yourself with a small family run company from Richmond called Willie Byrd Dark Chocolate Sauce. They make three styles of sauce based on a family recipe developed by their grandfather, William Byrd Rawlings. Of course, Willie Byrd’s sauces can be spooned over ice cream, but you can also enjoy them with baked goods, breakfast items, hot chocolate, and more! 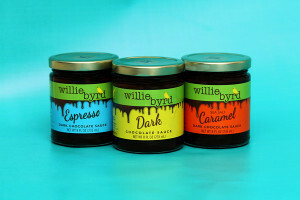 Willie Byrd’s three flavors are their original dark chocolate, espresso, and sea salt caramel. You’ll find them in specialty stores in Virginia and surrounding states (there’s a list on their website), or better still, order a three pack directly from their website. It’s a great gift for the holidays or any time of year – especially summer if you enjoy a bit of dark chocolate flavor with your ice cream! The Belmont Plan is one of the very best Made in Virginia gifts we’ve seen. Each month, your designee receives a 22 ounce tin of a Belmont Peanuts specialty along with your gift message. Varieties they’ll receive include Old Fashioned Peanut Brittle, Chesapeake Bay Spiced Peanuts, Honey Roasted Peanuts, Peanut Squares, and more. It’d be hard to find a more authentic taste of The Old Dominion! The company also offers a tasty and affordable package called the Holiday Trio. 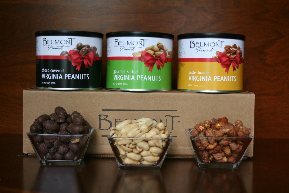 This gift pack includes 10 ounce tins of Virginia Salted Peanuts, Butter Toasted Peanuts, and Chocolate Covered Peanuts. Decadence Gourmet Cheesecakes In A Jar! They’re the originators of a deliciously original concept called “Cheesecakes in a Jar”. Founder and owner Lee Mathis developed a method to bake his 20+ flavors of cheesecakes in single serving jars! As you can see from the photo, a single serve portion of cheesecake is added into a small jar, then packed in a gift crate, shrink wrapped, and shipped directly to your door. 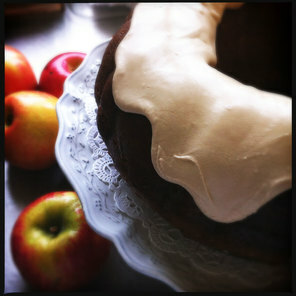 A wonderful gift idea for birthdays, corporate occasions, or just for the foodie on your list! Flavors include favorites like Tiramisu, Strawberry New York, Key Lime, German Chocolate, and over a dozen others. They’re available for ordering in handsome gift packs of six or cases of 24. One of the cooler concepts we’ve seen! Learn more at the Decadence Gourmet Cheesecakes website. Made in Old Dominion! 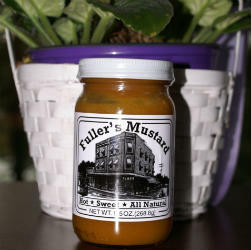 You can buy iconic Fuller’s Mustard here in 9.5 ounce jars and have it shipped to you or anywhere as a gift. A Virginia eastern shore tradition! 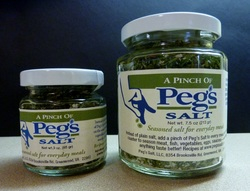 We’d best describe Peg’s Salt as an all purpose seasoning. Use it in place of regular salt, or any other spice for that matter. On fresh fish, Peg’s Salt and a bit of lemon is all you’ll need! 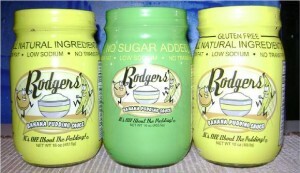 There are dozens of recipes on the Peg’s Salt website, ranging from cole slaw to beef brisket to roasted potatoes. You can buy this wonderful seasoning mix in three or seven ounce jars, and private labeling opportunities are also available. A thoughtful and economical gift from The Old Dominion! 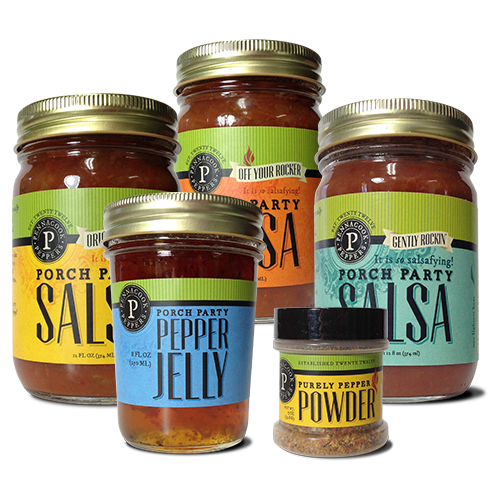 The salsa, which comes in three levels of heat, is part of a line of products called Porch Party. The names of the salsa describe the progressive heat level – Gently Rockin’, Original Rockin’, and Off Your Rocker. In addition, the company makes a Pepper Jelly. All of the products are available online, and for a great gift idea, go for the “Pennacook Everything Pack”, shown in the picture. Crab Pie – A Virginia Culinary Tradition! The original recipe comes from the Stratford Hall Plantation, where General Robert E. Lee’s family lived for many years. 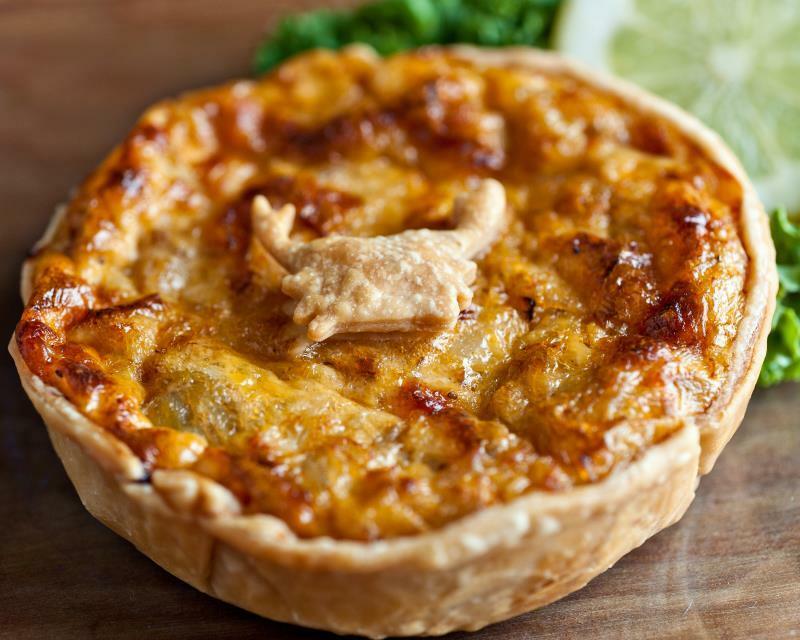 It is said that crab pie was one of the family’s favorite dishes, and this fine Old Dominion tradition continues to this day! Certified as a Virginia’s Finest Product, you can buy frozen crab pies at selected locations along the eastern seaboard, or order online. 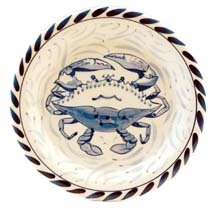 You’ll find a link to purchase online at CrabPie.com along with a list of locations to buy in person. Taste a Virginia tradition! One of their most famous specialties are called Peanut Butter Pups (shown). 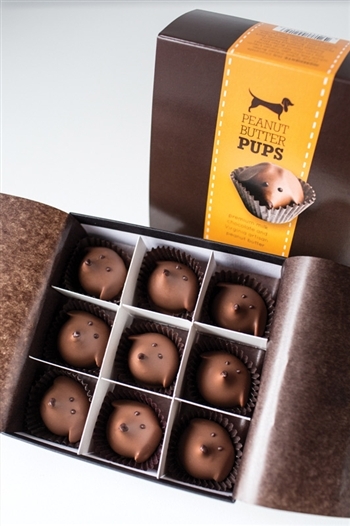 Made to look like a puppy face, they’re created with milk chocolate surrounding Virginia peanut butter. The ears are toasted almonds and the pups are cute … and delicious! Gearhart’s Chocolates donates a portion of the proceeds from every sale of Peanut Butter Pups to the Companions for Heroes organization. Companions for Heroes matches companion animals up for adoption with America’s wounded veterans. A wonderful cause! If that makes us a little “hot sauce intolerant”, well, so be it. A really good hot sauce should add a bit of zip and spicy flavor to your food, not obliterate it with hotness. And that’s what Mamacita’s Hot Sauce of Richmond, VA does best. The product is made with fresh jalapenos, which provide the heat. But it’s got a thicker consistency from other added peppers, which you can see in the photo. It’s thick enough to basically use as a salsa, and all the different peppers and spices give it a more complex, rich taste that outpaces other hot sauces – just wait until you taste it! Mamacita’s first made its name from farmers markets in the Richmond area. It has now expanded to some retail outlets and you can order bottles on their website. Some of your best local food finds will come from farmers markets, and Mamacita’s is no exception. Order some today and see what we mean! 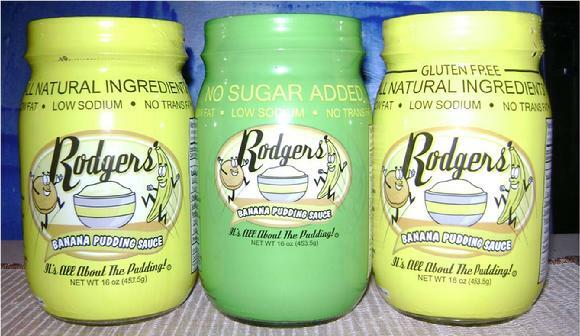 The pudding is used as traditional banana pudding of course, but it’s also a key ingredient in pancakes, milkshakes, marble cake, cream tarts, and even martinis! 2). Even though Virginia is sometimes known as “the birthplace of a nation”, Virginia was not the first state admitted to the Union – it was the 10th. 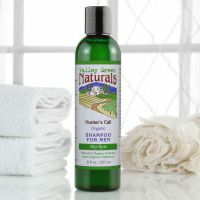 On the Valley Green Naturals site, you’ll find products for both women and men encompassing hair care to foot care. One particular product I’ve used is pictured, the organic Hunter’s Choice Shampoo, made with moisturizing aloe vera that smells great and provides a rich lather. Another is their honey and glycerin soap … long lasting and leaves your skin soft and smelling great! You’ll find Valley Green Natural products at specialty retailers nationwide … there’s a store locater on their site. Or, go ahead and order direct … their products make great gifts! 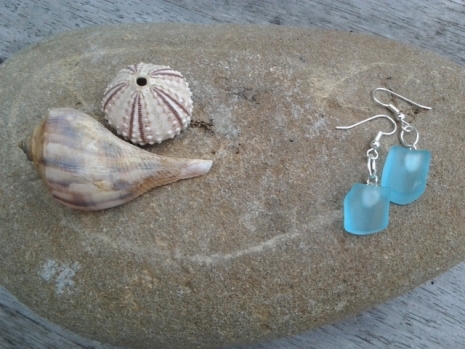 Upcycled Earrings Made From A Gin Bottle! Morphed Products: This small Virginia Beach business does something we find very admirable … they create practical and fashionable items from upcycled wine, beer, and liquor bottles! The Facebook page also lists local events where Morphed Products appear to showcase their wares, so if you’re in the area, stop by to see them! Lee uses organic ingredients only, such as organic unbleached white flour, organic beef broth, organic peanut butter, and organic rice flour. 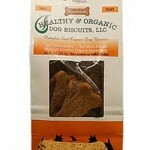 Treats are available for small, medium, and large dogs in two flavors … beef and peanut butter and organic pumpkin seed. 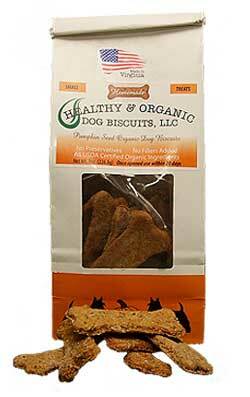 Order some of these healthy dog treats online at their website and be sure to check out the videos showing all the cool dogs enjoying the organic lifestyle! 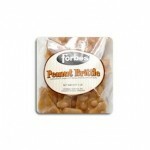 Forbes Candies Peanut Brittle: Forbes Candies, Inc. is a long standing Virginia Beach candy maker specializing in saltwater taffy, fudge, and their famous Virginia peanut brittle. They’ve been around since 1930, but peanut brittle has been around longer … it is said Civil War soldiers survived on peanut brittle they were able to make themselves. 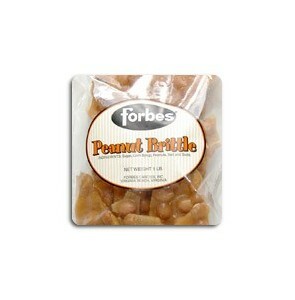 Forbes carries on the tradition with peanut, mixed nut, and cashew brittle you can order from their Forbes Candies website … a great gift from the Old Dominion! Smithfield Hams: There’s nothing quite like the rich taste of a Virginia ham … dry cured and aged for up to a year, these bone in hams are among the finest in the world. 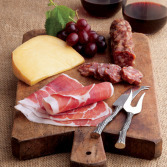 Based in historic Smithfield, Smithfield Hams is the standard bearer of elegance and fine taste in Virginia ham. They’ve been around for well over 100 years and can ship hams of all sizes … cooked or uncooked. 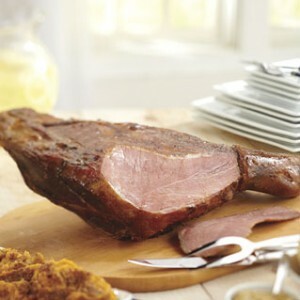 With one of Smithfield’s cooked hams, all you need to do is glaze and heat. Ideal for a holiday gathering or even a family picnic! 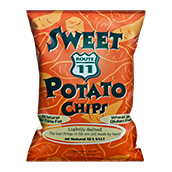 Of course, Route 11 also makes the traditional varieties you love … check out their website where you can buy Rt 11 Potato Chips in individual bags, cases, and decorative tins. The company is located in Mount Jackson, VA. Anyone who knows Virginia knows Route 11 potato chips! The Virginia Shop carries Old Dominion items you just won’t find anywhere else. 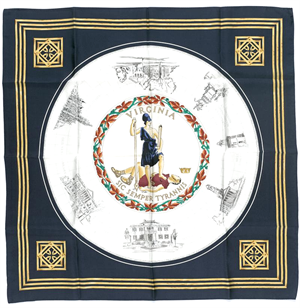 They have a wide selection of historical prints and numerous state seal items like pins, ties, and the silk scarf shown. You can also buy traditional souvenirs and local recipe cookbooks … something for everyone on your Virginia shopping list! You can even add to your Christmas ornament collection with themed ornaments or even a bottle of grape juice made at a local winery … check out their site to see the entire selection. Fire Fly Hot Sauces: Fire Fly Hot Sauce is a local company making a line of hot sauces made using Virginia grown peppers. 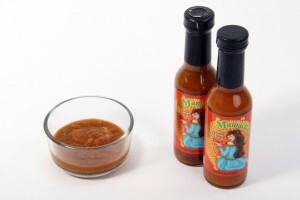 The sauces are designed to complement your cooking, not overwhelm it, and the flavors are subtle with a kick. 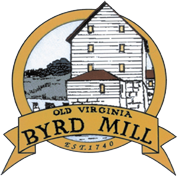 Old Virginia Home: This family owned business located in Nelson County, VA is the result of three generations of cabinet makers … they make hand crafted wood items like traditional shelving units, quilt displays, and kitchen accessories like peg racks and lazy susans. 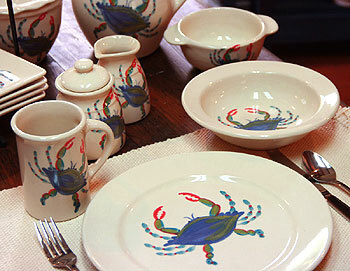 Emerson Creek Pottery: Since 1977, Bedford, VA based Emerson Creek Pottery has grown to be one of America’s most recognized names in pottery. Locals know them as Hubs Peanuts, and they’re a popular gift from Virginia … the company ships them all across the country daily. 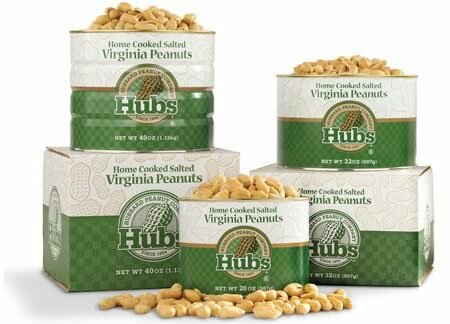 If you’re looking for a gift that keeps on giving, enroll someone in the Hubs Peanut Club, where a fresh supply of Hubs is delivered monthly, bi-monthly, or quarterly. They are Beer Grain Dog Treats, made by Jeff Lutton, a Virginia dog lover and home brewer. Dogs love beer, but it’s not healthy for them, but the spent grains are very appealing to their taste buds. There is absolutely no alcohol in these organic dog treats … just natural ingredients like peanut butter, barley, and healthy grains. 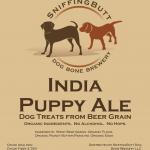 There are three types of treats for your dogs available … Pug Porter, India Puppy Ale, and Wheaten Wit. All are dog tested and have gotten an enthusiastic tail wag and a paws up! Explore their website at EdwardsVAHam.com and you’ll be amazed at all the different products and gift packages you can order. There are hams of course, Virginia seafood, turkey and turducken, peanuts, desserts, sausage, bacon, and … well, you get the picture! 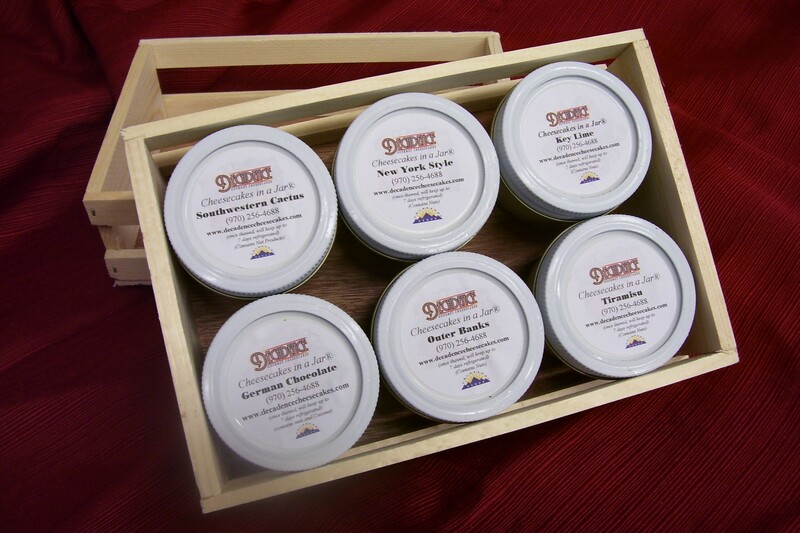 Shown is their All Virginia Made Sampler, which you can order for yourself or as a great gift. It includes Edwards ham, salami, and aged colby cheese. Now who wouldn’t be thrilled to see that package come in the mail! 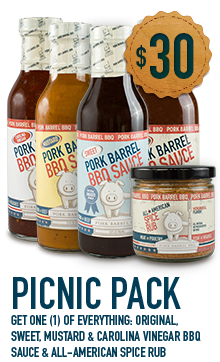 The Wholesome Foods website has a large online store where you can order all sorts of specialty products made in the state, from meat to cheese to Old Dominion BBQ Sauce (shown). It’s another one stop shopping destination for Virginia themed gifts! Several gift packages are available, all of which are packaged in a plant fiber bag which is made in Virginia from recycled cardboard.